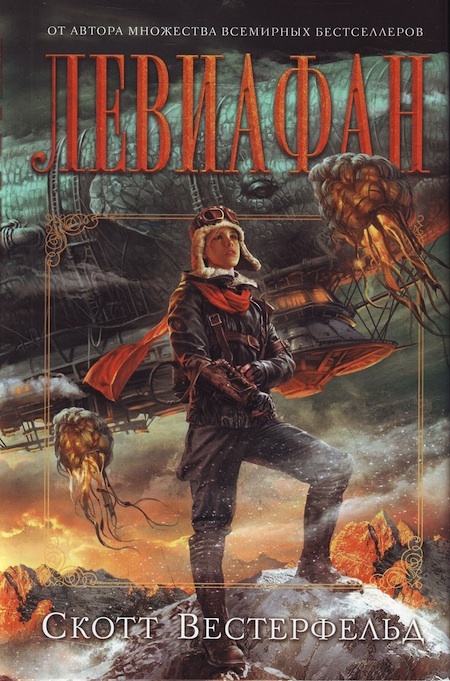 Please enjoy the Russian cover of Goliath. The book comes out in December in Russia! Book 1 has Deryn, Book 2 has Alek, and Book 3 has them both. Like the US paperbacks, but with Deryn first. The clothes are great (especially Alek’s leather trousers). Painter can paint. Love the Leviathan itself. True to the book, but it glows in a way that only this color medium can produce. The person in front with the Big Object in the background is kind of a theme of the books. That is, the struggles of the characters are foregrounded, but the scale of background events (and creatures and machines) is always huge and within view. Keith was very careful that the illustrations always alternated between close-ups to pulled-out images, from faces to Big Stuff. It’s nice to see both scales represented here on all three covers. ALSO: If you’ve never read this book I wrote called Uglies before, you can do so now for free on PulseIt, but you have to join up to do so. And first comment there! He he. Very cool looking. 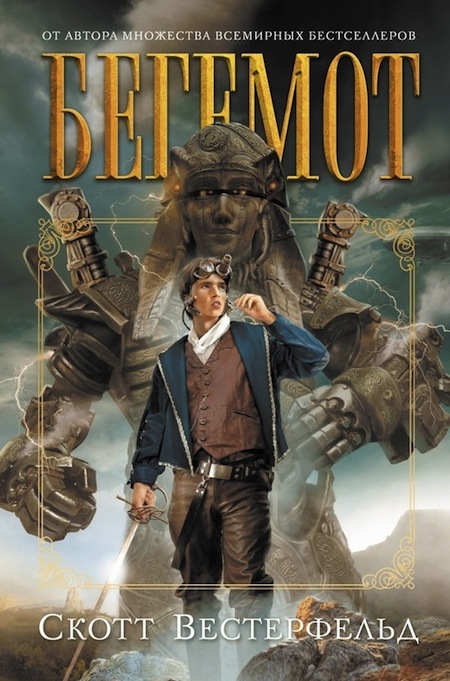 Although I do wonder what cover artists have against Alec being shorter than Deryn. There are many more foreign covers to be seen at The Books of Scott Westerfeld (http://fowlervillehistory.org/westerfeld). Other recent editions include the Brazilian edition of Behemoth and new Portuguese editions of Uglies and The Secret Hour. I agree with Panzercrappitastica, all foreign covers are usually cooler than American ones. I do think it would have been cooler to have the titular machine/beastie on each cover. The Leviathan on Leviathan, the behemoth on Behemoth and Goliath on Goliath. My favourite is the (i)Leviathan(/i) cover! It’s amazing! I’m agreeing with Scott, I love how the actual Leviathan ship looks. The detail is barking good 😉 and Deryn looks beautiful! Hahaha am I the only one that can’t stop looking at these covers?! Why do all foreign countries get way better covers? I actually think Goliath is my worst. I doesn’t feel as original as the other ones somehow… I looks like Leviathans cover with Alec just dropped there next to Deryn. 6: Wouldn’t it be spoilery if there was a picture of Goliath on the cover? “if you’ve never read this book I wrote called Uglies”…what? Who in their right mind hasn’t read Uglies? I even convinced my mom to read the series, and she loved it. 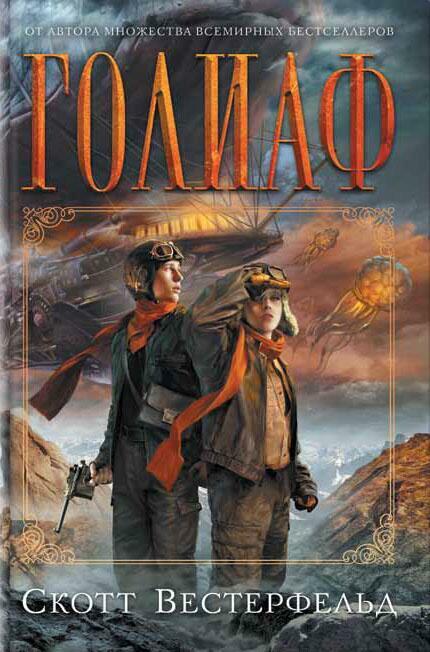 also, the Russian covers are, as usual, more awesome than ours. @10: I don’t think so. Anyone who hadn’t read the book just wouldn’t know what it was. And it wouldn’t spoil the climactic ending of what Goliath does. Unless unassuming readers connect that the title and picture match…but would they? I don’t think so. It’d probably be one of those things that just went over people’s heads. @12: So did I. She also liked Peeps. 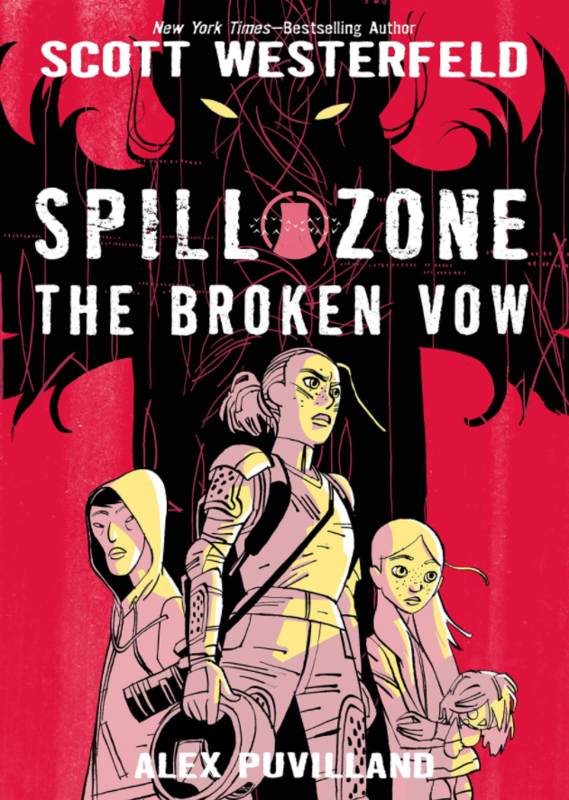 Did anyone else notice the high level of orange scarves in these covers? Maybe it’s about time I reread Uglies for the nth time. Also, Scott-la, any update on Shay’s 3rd book? pretty please? Those covers look really really awesome. I think I’d buy the books just for the cover, you know. @13 – well, perhaps Goliat wouldn’t be so spoilery, but Behemoth would be, at least for me, because it was a big surprise to see the drawing of the Behemoth in the book. Though perhaps you’re right, and people wouldn’t think about it that much. Pretending that Alek is standing on a rock so he can look taller than Deryn. I love these covers so much, I think they are gorgeous. I want them even though I can’t speak Russian. Any chance they can be sold as prints? :D.
@15: Seconded. Where are our Specials? @18: Look at their knees! Alek is so standing on a rock. The Hunger Games: Catching Fire has officially been watched. Needless to say, it was awesome. Who’s watched Catching Fire? I saw it today. It was completely flawless! The only thing I don’t like is the love triangle. I know it was a part of the book, but it annoyed me then too. I think it actually takes away from the story (at least film-wise). Gale kisses her, and she’s kinda like “Sorry, you’re friend-zoned,” but then proceeds to kiss him two more times before she leaves. And she completely friend-zones Peeta the whole year after they get back (they weren’t even friends, actually), and then suddenly she’s acting like she’s in love with him (without any particular reason. It’s not like he did something totally out of character or brave or meaningful or anything like that to make her do a sudden double-take). But besides that, it is epic and awesome and *feels*!!! I’m also excited to see Frozen (well, and of course The Hobbit: DOS). Anyone else? Those covers are freaking gorgeous! Any chance we could get versions without the copy text? They’d make a beautiful poster set! I can’t read a work of Russian, but I’d import these just to have them on my shelf! Beautiful. Haha well because the love triangle was an integral part of the novel they couldn’t really exclude it from the film, could they? That would have caused riots bigger than the ones in the movie (I”M SO FUNNY). I think Katniss was confused and in no position for a stable relationship. Obviously Gale and Peeta were already in love with her and she kind of sought refuge in whoever was around at the time? Well no, she never even thought about Gale in that way until HE kissed her. they are so pretty I wish the English copies me like that.